Sally Hemings was the daughter of Elizabeth Hemings and, allegedly, John Wayles, Thomas Jefferson’s father-in-law – Elizabeth Hemings and her children did live at John Wayles’ plantation during his lifetime. 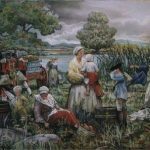 In 18th-century Virginia, children born to slave mothers inherited their legal status, therefore Elizabeth and Sally Hemings and all their children, were legally slaves, even when the fathers were their white masters. If Sally Hemings’ father was John Wayles, she would have been the half-sister of Thomas Jefferson’s wife, Martha Wayles Jefferson. After Wayles died in 1773, Martha inherited the Hemings family; when Martha died in 1782, she left the Hemings family to Thomas Jefferson. Sally came with her mother to Monticello by 1776. Slave girls from the age of six or eight were babysitters and assistants to head nurses on southern plantations. From 1784, Sally apparently served as a maid and companion of Mary Jefferson, Jefferson’s youngest daughter. Sally Hemings and Mary Jefferson were living at Eppington – the residence of Mary’s aunt and uncle – in 1787, when Jefferson asked to have his daughter Mary join him in Paris. Fourteen-year-old Sally and eight-year-old Mary crossed the Atlantic Ocean to London that summer. They were received in London by John and Abigail Adams, who wrote that Sally “seems fond of the child and appears good natured.” Jefferson’s French butler, Adrien Petit, escorted the two girls from London to Paris. It is not known whether Sally Hemings lived at Jefferson’s residence, the Hotel de Langeac, or at the Abbaye de Panthemont, where Jefferson’s daughters Martha and Mary were boarding students. Whatever the weekday arrangements, Sally spent weekends with Jefferson at his villa. While in Paris, Sally undoubtedly received training to suit her for her position as lady’s maid to Jefferson’s daughters. According to French law, Sally was free. Sally remained in France for 26 months. Jefferson paid her wages while in Paris, the equivalent of $2 a month. According to her son Madison’s 1873 memoir, Sally became pregnant by Jefferson and refused to return to the United States unless he agreed to free her children, and that Jefferson agreed to that condition. What is alleged, and not known except by implication, is that Thomas Jefferson and Sally Hemings began an intimate relationship in Paris. After the family returned to Virginia in 1789, Sally seems to have remained at Monticello, where she performed the duties of a household servant and lady’s maid. Sally Hemings had six children, who are now believed to have been fathered by Thomas Jefferson, and their birth dates are recorded in Jefferson’s Farm Book or in letters he wrote. He did not record the father’s name for Sally’s children. Beverly (born 1798), a carpenter and fiddler, was allowed to leave the plantation in 1821, and according to his brother, passed into white society in Washington, D.C.
Harriet (born 1801), a spinner in Jefferson’s textile shop, also left Monticello in 1821, probably with her brother Beverly, and passed for white. Madison Hemings (born 1805), a carpenter and joiner, was given his freedom in Jefferson’s will; he resettled in southern Ohio in 1836, where he worked at his trade and had a farm. Eston Hemings (born 1808), a carpenter who was also given his freedom in Jefferson’s will, moved to Chillicothe, Ohio, in the 1830s. He was a well-known professional musician before moving in 1852 to Wisconsin, where he changed his name to Eston Jefferson along with his racial identity. Both Madison and Eston Hemings made known their belief that they were sons of Jefferson. Thomas Jefferson was at Monticello at the likely conception times of Sally Hemings’ six known children. There are no records suggesting that she was elsewhere at these times, or records of any births at times that would exclude Jefferson paternity. There are no indications in contemporary accounts by people familiar with Monticello that Sally Hemings’ children had different fathers. Many contemporaries said Sally Hemings’ children strongly resembled Thomas Jefferson. Sally Hemings’ children were light-skinned, and three of them (daughter Harriet and sons Beverly and Eston) lived as members of white society as adults, concealing their origins. Free persons who were seven-eighths white, as Sally’s children with Jefferson were, under Virginia law were legally white. Sally never married. As a slave, she could not have a marriage recognized under Virginia law, but many slaves took partners in common-law marriages. While Sally worked at Monticello, she had her children nearby. 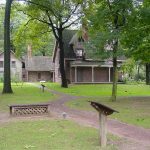 According to her son Madison, they “were permitted to stay about the ‘great house,’ and only required to do such light work as going on errands.” At age 14 the children began their training, the brothers as carpenters and Harriet as a spinner and weaver. Beverly, Madison, and Eston all learned to play the fiddle (Jefferson played the violin). Sally’s name became publicly linked to Jefferson’s in 1802, during Jefferson’s first term as president, when a Richmond newspaper published the allegation that she was Jefferson’s mistress and had borne him a number of children. Although there had been rumors before 1802, this article spread the story widely, and was published in many newspapers during the remainder of Jefferson’s presidency. Jefferson’s policy was to offer no public response to personal attacks, and he apparently made no explicit public or private comment on this question. 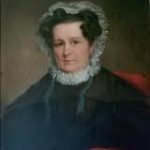 His daughter Martha Jefferson Randolph privately denied the published reports, and her children maintained many years later that such a liaison was not possible, on both moral and practical grounds. They also stated that Jefferson’s nephews Peter and Samuel Carr were the fathers of the light-skinned Monticello slaves. 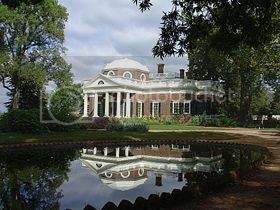 When appraisers arrived at Monticello after Jefferson’s death in 1826 to evaluate his estate, they described 56-year-old Sally Hemings as “an old woman worth $50.” Jefferson’s daughter Martha Jefferson Randolph then gave Sally “her time,” a form of unofficial freedom that would enable her to remain in Virginia (the laws at that time required freed slaves to leave the state within a year). Sally lived her last nine years with her sons Madison and Eston in Charlottesville, Virginia. Sally Hemings died in 1835 at Charlottesville. The location of her grave is unknown. That a Jefferson-Hemings relationship could be neither refuted nor substantiated was challenged in 1998 by DNA tests which established that an individual carrying the male Jefferson Y chromosome fathered Eston Hemings (born 1808), the last known child born to Sally Hemings. There were approximately 25 adult male Jeffersons who carried this chromosome living in Virginia at that time, and a few of them are known to have visited Monticello. The study’s authors, however, said “the simplest and most probable” conclusion was that Thomas Jefferson had fathered Eston Hemings. Shortly after the DNA test results were released in November 1998, the Thomas Jefferson Foundation formed a research committee consisting of nine members of the foundation staff. In January 2000, the committee reported its findings that the weight of all known evidence – from the DNA study, original documents, written and oral historical accounts, and statistical data – indicated a high probability that Thomas Jefferson was perhaps the father of all six of Sally Hemings’ children listed in Monticello records. Sally Hemings: Mistress of Thomas Jefferson?